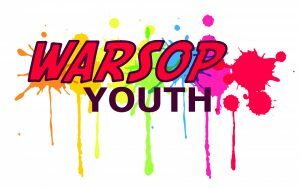 The Warsop Youth Club is entering an exciting new chapter as it starts the process of registering with the Charity Commission for CIO (Charitable Incorporated Organisation) status. Their Board are seeking new members to help take this venture forward. The existing Trustees are also keen to work with other professionals to build on the successes achieved so far and ensure future development of the Youth Club. The Youth Club took ownership of the Adam Eastwood Building in 2014 which was gifted to the community of Warsop by the Eastwood companies. The building hosts a variety of sessions throughout the week including the Youth Club, Sport4Kidz, judo, karate and Go-Extreme activities. New Trustees will be involved in developing youth provision in Warsop and in making the Adam Eastwood Building a community asset that Warsop can be proud of. For more information on becoming a Trustee of Warsop Youth Club, contact Halina on 01623 846 281 or 07599 769758 or email halinakochanowski@mac.com.